The abundance of insects can change dramatically from generation to generation; these generational changes may occur within a growing season or over a period of years. Such extraordinary density changes or "outbreaks" may be abrupt and ostensibly random, or population peaks may occur in a more or less cyclic fashion. They can be hugely destructive when the insect is a crop pest or carries diseases of humans, farm animals, or wildlife. Knowledge of these types of population dynamics and computer models that may help predict when they occur are very important. 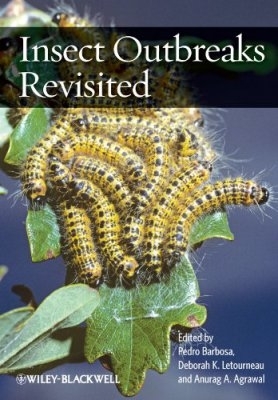 Insect Outbreaks Revisited revisits a subject not thoroughly discussed in such a publication since 1988 and brings an international scale to the issue of insect outbreaks. Insect Outbreaks Revisited is intended for senior undergraduate and graduate students in ecology, population biology and entomology, as well as government and industry scientists doing research on pests, land managers, pest management personnel, extension personnel, conservation biologists and ecologists, and state, county and district foresters.